Joining Frank Solomon on the second leg of the Corona Coastal Cleanup Tour was former competitive South African pool swimmer Sarah Ferguson. Sarah, an environmental activist on a mission to highlight the issue of marine plastic pollution, earlier this year made headlines when she completed a 100km open ocean adventure. This feat of athletic endurance took place from Ponta Dobela in Mozambique to Sodwana Bay in just six days. Frank and Sarah got together down the South Coast to talk plastic while they enjoyed an adrenaline-fueled free dive surrounded by sharks, made possible by the team from Blue Wilderness. 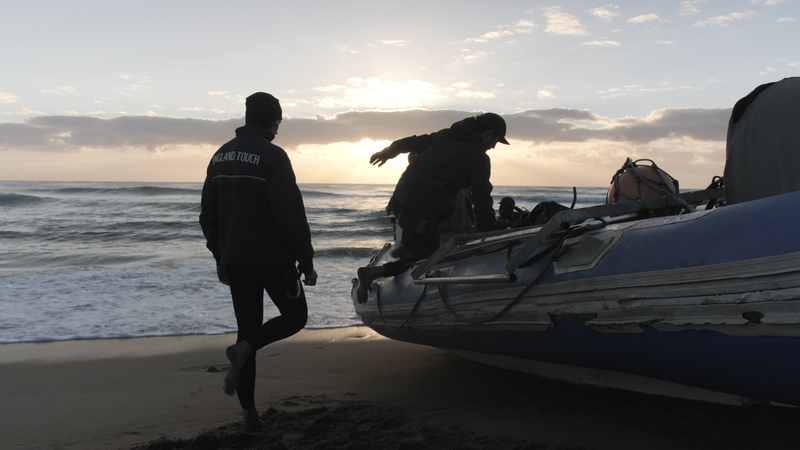 Operating out of Scottburgh, KZN, Blue Wilderness is a shark diving and adventure company. Here an individual can share an almost religious experience with one of the ocean’s apex predators. Since 1995 it has pioneered and developed many of the countries most exciting and rewarding shark adventure programs along Aliwal Shoal. It has achieved its success due to the genuine passion for sharks and exploration that is central to its directors and staff. 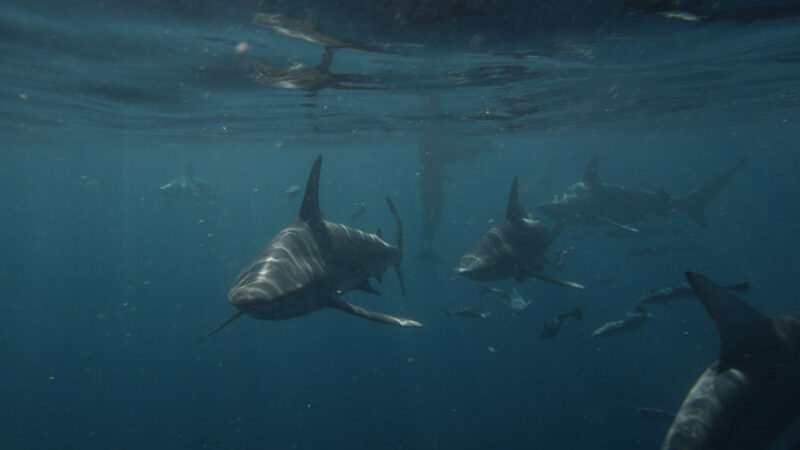 The purpose behind the dive operation is to promote shark conservation through developing and leading interactions with free swimming sharks, based on education, entertainment and empowerment. As an ambassador for SPAR Eastern Cape’s Stop Plastic campaign, Sarah channels her environmental efforts through both her swimming and organisation ‘Breathe’. The philosophy of Breathe is to aim high, eliminating rather than reducing plastic pollution in the ocean. The focus lies in tackling culprits like straws, coffee cups, plastic bags and sucker sticks and promoting responsiveness when it comes to addressing such a big, overwhelming task. The idea is to respond in the moment, where you can, to stop plastic pollution – no matter how small the effort may seem. The chief objective of the swim was to create a seven-part documentary series which Ferguson’s environmental movement, Breathe Conservation, is producing. The Durban-based physiotherapist spoke about the importance of society taking responsibility for the threat posed by plastic. “The issue of plastic pollution is a global one. The marine animals I was privileged to swim among are essential for our ecosystem. They do not have a voice to speak out on the negative effects of human ignorance and waste and I am choosing to use my voice to advocate on their behalf. We are destroying the planet we are called to look after. It is not too late to change but if we do not change our behaviour today, the next generation may not have the privilege of encountering marine life like I have been blessed to encounter,” she said. Be sure to check out Sarah’s website – Breathe and follow her journey on social media. Her next challenge sees her brave the cold waters off the coast of Chili as she endeavours to swim around Easter Island, a place that holds the most concentrated level of microplastics in the world. Frank and the team from Zag and Eyeforce now turn their attention toward the Transkei as they head toward Mdumbi.